Craig Fox is a professor of management, psychology and medicine at UCLA. Jeffrey Linder is an associate professor of medicine at Harvard Medical School. Jason Doctor is an associate professor of pharmaceutical and health economics at the USC. This op-ed appeared March 25 in the New York Times. Antibiotics are an indispensable weapon in every physician’s arsenal, but when prescribed unnecessarily for nonbacterial infections like the common cold, as they too often are, they provide no benefit and create problems. They wipe out healthy bacteria and can cause side effects like yeast infections and allergic reactions. Worse still, they contribute to the rise of “superbugs” that resist antibiotic treatment. 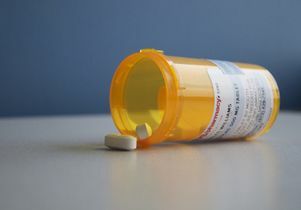 The Centers for Disease Control and Prevention estimates that about half of outpatient antibiotic prescriptions in the United States are unnecessary. It also estimates that each year as many as two million Americans suffer from antibiotic-resistant illnesses, and 23,000 die as a result. Clearly, we need to get doctors to prescribe antibiotics more selectively. But how can this be done? Several strategies have been tried in recent years, without much success. Educating doctors and patients about the proper use of antibiotics has had only a modest effect, as most doctors already know when antibiotics are called for. Alerts sent to physicians through the electronic health record reminding them to not prescribe unnecessarily are often ignored because doctors are overloaded with such messages. And offering doctors financial incentives has had mixed results, in part because the payments are modest relative to a doctor’s salary. Over the last few years, our research team has developed several new approaches to reducing unnecessary antibiotic prescribing, drawing on insights from behavioral economics and social psychology. These disciplines acknowledge that people do not always behave rationally and are strongly motivated by social incentives to seek approval from others and compare favorably to their peers. In one study published a few years ago, we asked a group of doctors to place a signed poster in their exam rooms pledging to follow standard guidelines on antibiotic prescription. This tactic, which pressured doctors to act consistently with their own publicly stated commitments, reduced inappropriate prescribing 20 percentage points relative to doctors in a control group who displayed a poster with generic information about antibiotic use. In a more recent study, we showed that doctors tended to prescribe less aggressive medications when such options were presented more prominently (one by one, in a vertical column), with more aggressive options presented less prominently (grouped side by side, in a single category). Previous research suggested that listing alternatives individually made them appear more popular — and therefore more appropriate — than when they were grouped together. And indeed, we found that doctors were roughly 12 percent less likely to order more aggressive medications, such as antibiotics, if these options were grouped together, compared with when they were listed individually. For our latest study, published last month in JAMA, our team gathered data on prescription rates of 248 clinicians at 47 primary care practices in Los Angeles and Boston over 18 months. Then, over another 18-month period, during which we focused on nearly 17,000 acute respiratory infection cases in which antibiotics were not called for, we tested new approaches to promoting more selective prescribing. In one approach, doctors received a monthly email informing them of their performance relative to that of their peers. Those with the lowest inappropriate antibiotic prescribing rates were congratulated for being “top performers.” Doctors who were not top performers were told “You are not a top performer.” The email also included a personalized count of unnecessary antibiotic prescriptions and the count for a typical top performer. This “peer comparison” approach almost completely eliminated inappropriate prescribing: from 19.9 percent in the pre-intervention period to 3.7 percent during the post-intervention period — an 81 percent reduction.